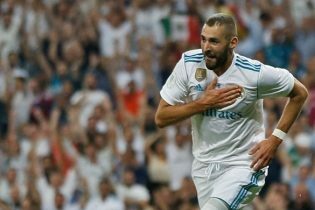 Real Madrid beat Barcelona 3-1 in the Spanish Super Cup first leg thanks to Cristiano Ronaldo’s wondergoal and Marco Asensio’s Golazo who sealed in the injury time a 3-1 win for the 10-man Los Blancos. An Own goal opened the scoring at the Camp Nou in the 50th minute when Piqué sent the ball into his own goal. Messi from a doubtful penalty leveled the score in the 77th minute, but Ronaldo gave the Los Blancos a new lead with an amazing goal in the 80th minute. Marco Asensio sealed the final 3-1 result and Ernesto Valverde’s debut defeat.